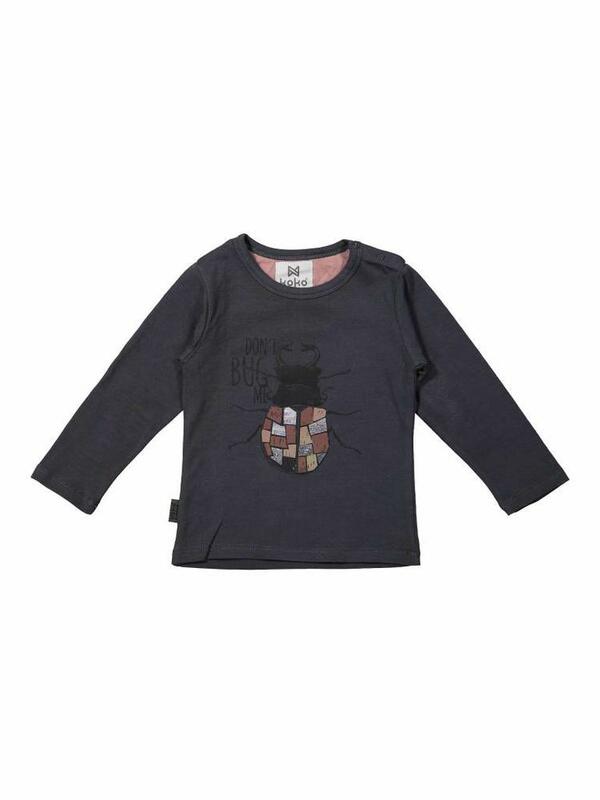 Girls longsleeve with print. 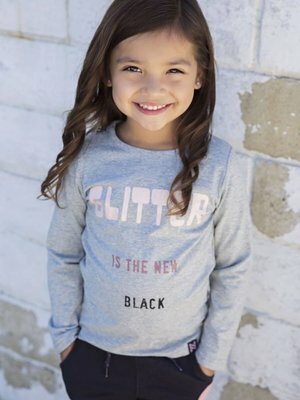 The shirt with long sleeves is dark gray in color and has a round neck. This dark gray shirt can be perfectly combined with the girls skirt on the photo.